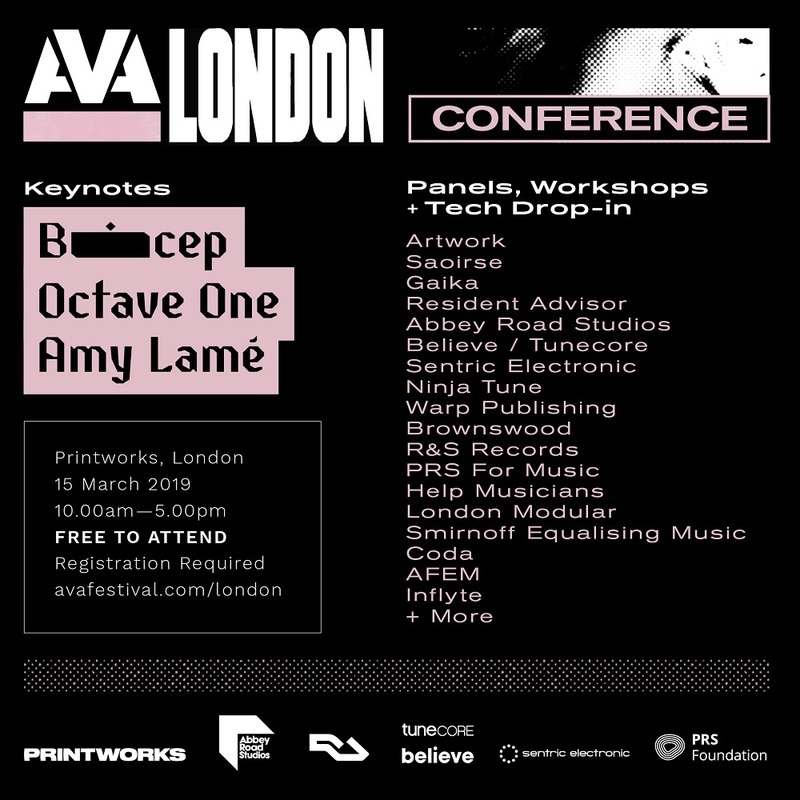 Keynotes from Bicep, Octave One, London’s Night Czar Amy Lamé the programme of workshops and talks have been announced for the AVA London conference. Taking over Printworks London on Friday, March 15th, the conference will run from 10am to 5pm followed by a club show from 7pm to 2am. Bicep will provide an insight into the creation of their debut album; London’s Night Czar Amy Lamé will discuss how she moves the conversation forward around the night time economy with journalist and host Lauren Martin. Recording studio Abbey Road will examine how the world’s first purpose-built recording studio continues to innovate production. The closing keynote will come from Octave One giving an insight into how they have developed as artists over the decades, how the scene has changed and their new AV show. PRS for music will host a panel with experts from Warp Records, Ninja Tune and booking agency Coda to talk about artist development; Smirnoff’s Equalising Music will invite Saoirse and Artwork to talk techniques, selecting and wellbeing on tour. Further panels will be feature Brownswood, R&S Records, Sentric Electronic, Netflix, Adidas and the BBC. Promo delivery platform Inflyte will host their ‘Inflyte Promo Clinic and a drop in area will give access to affiliates of brands such as London Modular, Abbey Road Waves, Inflyte, 19 Mil, Perc, Vochlea, Qrates, COTODAMA and Believe. From 7pm, AVA will transform Printworks back to a club space for sets from Mall Grab, Hunee, Joy Orbison, Job Jobse, Or:la, San Proper, Brame & Hamo, Swoose, Cromby, Mount Palomar and Mount Kitt. For free conference tickets, club show tickets and details go to avafestival.com/ticket/london.